Among the several options for purchase of used cars, buying online is an easier choice. 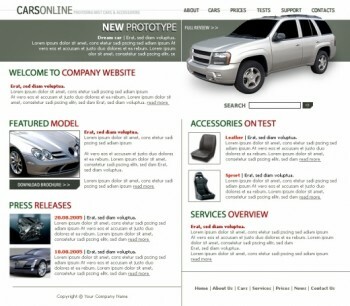 Many sites operate, offering the used cars for sale, and all that one has to do is to type the car of his choice and he would instantly find hundreds of such car ready for sales. But what is not possible is to check the quality of the vehicle. Hence, before buying a used car online, the primary requirement is to verify the history of the vehicle. The selling firms, who are too transparent in their dealings, would normally publish the Vehicle Identification Nmber (VIN). With the help of VIN, the prospective purchaser can pay an online service, seeking to send a history of the vehicle, of his preliminary choice. This is a very cheap safeguard to avoid buying an inferior one. There are two types of histories which you have to distinguish before buying. The first one includes the car’s ownership, accident and finance history and the second one relates to service history. This is what one would need to verify. A full fledged service history is a prime requirement, in order to decide the worth of a vehicle before buying. It is really unfortunate, that some sellers themselves fake the full service history of cars, adding all requisite details and with stamps and the dealer’s booklet. In such circumstances, one of the safeguards while buying a used car online is, to demand and verify the receipts of previous services carried out periodically. Another relevant tip before going for a used car online is, to check the accelerator pedal. It should be checked whether the wear on the gas pedal is commensurate with what is shown by the odometer. A well-worn pedal pad indicates that the car has travelled much more miles. While buying a used car online, another important tip one should be careful about is, to verify the condition of the car physically with the help of a mechanic, if the buyer has no technical knowledge. This may end up in limiting your choice to a specific area, which would force you to abandon the idea of buying some cars you felt quite nice online. However, that would ultimately give a satisfaction that you finally bought a car that is thoroughly checked to your satisfaction. Besides, if you have contacts in a wider area, you have the choice of arranging inspection of the used cars with their help too. Another important tip for buying a used car online is to choose a vehicle of lower mileage even if it is of an old model. No doubt, such vehicles would be far superior in quality than many of the cars you were attracted to earlier. One cannot be certain on the real condition of a car with a high mileage, that was used as a company car also. The car you go to buy should be within your paying capacity and you should approach with a realistic budget and documentation, apportioning funds for taxes and repairs. Repairs to a used car will always be the owner`s liability. For a comparatively younger used vehicle, one can decide on an extended warranty, but sometimes the warranty condition may apply to certain mechanical parts only, that too, restricting the venue of repairs. Read and make sure everything from the fine print before you proceed.